Another unique moment in the history of Biafra and her citizens beckons. On Wednesday 30th May 2018, Biafrans the world over, will be marking yet another day for all fallen heroes and heroines of Biafra in remembrance. 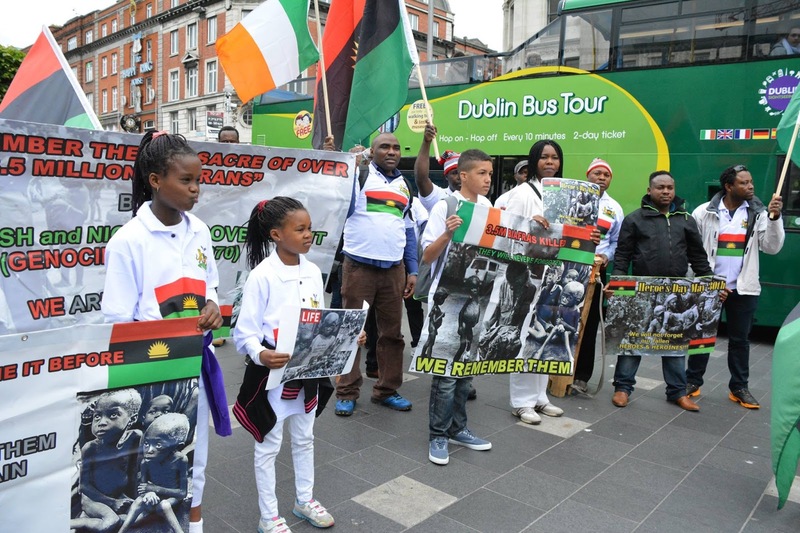 That date remains annually set aside by the Indigenous People of Biafra (IPOB) worldwide, to honor all those through their invaluable sacrifices, who died in the Biafran restoration struggle between 1967 to 1970. Over 3.5 million Biafran men, women and children were gruesomely massacred in that genocidal war levied against the Biafran people by Nigeria and her foreign allies. Uncountable number of Biafrans have so far been murdered by the Nigerian armed forces through the instrumentality of the British government, her slavemaster. This stemmed from selfish economic interests and abominable policies of protectionism. As part of the restoration agenda of the Indigenous People of Biafra (IPOB) worldwide, ably led by Mazi Nnamdi Kanu, 30th of May each year has been mapped out as a Remembrance Day for all the Biafran Heroes and Heroines who paid the ultimate price that the present and the upcoming generations of Biafrans, will live. Recall that in the past few years, Mazi Nnamdi Kanu declared a "Sit-At-Home" to commemorate this day globally both within Biafraland and without. The sacrifices of these departed heroes and heroines for the freedom of all Biafrans and the restoration of their fatherland, can never be quantified. This annual off-activity day within the entire Biafran territory and elsewhere, is in total respect and honor to all those who sacrificed their lives in defense of their fatherland. It is on this premise that all Biafran men, women, youths and children, at home and in the diaspora, are encouraged to totally observe the "Sit-At-Home" Order on this Wednesday being the 30th of May, 2018, in honor of the departed freedom fighters. By so doing, the global community will fully realize the need to expeditiously lend support to the Biafra restoration effort. Biafrans' glorious exit from Nigeria is quite inevitable and incontestable. This upcoming Biafra lockdown in Biafraland come 30th of May 2018, will be complementary to the devastating election boycott carried out by Biafrans especially during the last Anambra State gubernatorial election in 2017. Over 97℅ of the people clinically boycotted that sham. Biafrans did it before and can effectively repeat the same feat. Giving up at this time of the struggle is self defeatist and so can never be an option. We have to unrepentantly remain obedient to IPOB constituted authorities as our only pathway to victory. Mazi Nnamdi Kanu and his deputy, Mazi Uchenna Okafor Mefor, have exceptionally done well in their bits towards the Biafra restoration project and they deserve our support in total obedience and commitment. All the strategies laid down in this struggle must have to be judiciously carried out for the realization of anticipated results.